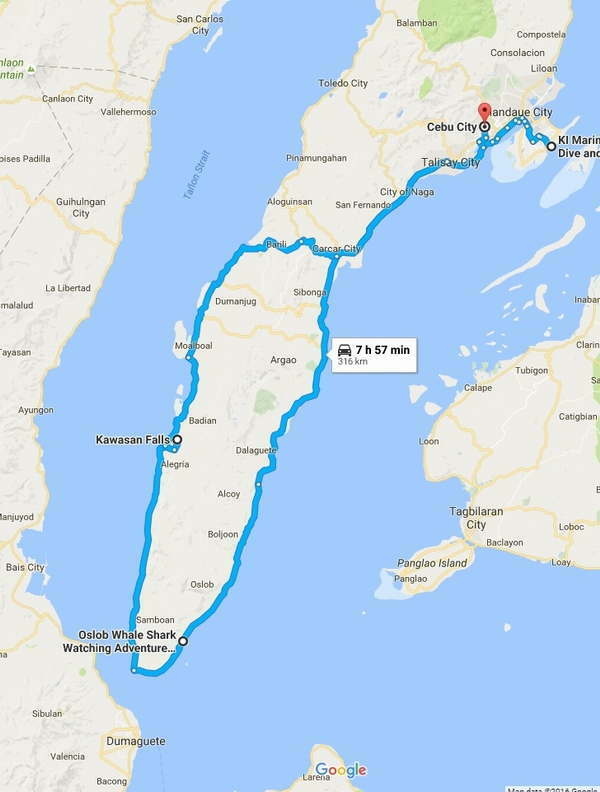 South Cebu Adventure Tour 3. * Rates : For a group of 2 persons @ P11,300.00 per person Round trip transfers by car, snorkel sets, rash guards , breakfast ( sandwich, coffee or tea ),juice, lunch, drinks, government fees , entrance fees, ride to jump start, safety helmet, life vest, tour guide, snacks , towels and shower. ＊Arrival at Oslob at 6:30 to 7:00am. Take breakfast at Oslob beach resort. ＊Around 8-9am depart to Badian for 2 hrs trip by car for the Kawasan Canyoneering for 3-4 hrs adventure. Preparation and fitting of gears in Matutinao Beach. Taking lunch at around 11am, afterwards take motorbike for 15 minutes to Solsogan area. Take 15 minutes trekking to the jump start with last jump in Kawasan Falls. Depart in Badian at around 3-4pm with arrival at you hotel at around 7pm. * Children rates: 0 to 11 years of age is not allowed. * Inclusions: Round trip transfers by car, snorkel sets, rash guards , breakfast ( sandwich, coffee or tea ),juice, lunch, drinks, government fees , entrance fees, ride to jump start, safety helmet, life vest, tour guide, snacks , towels and shower.